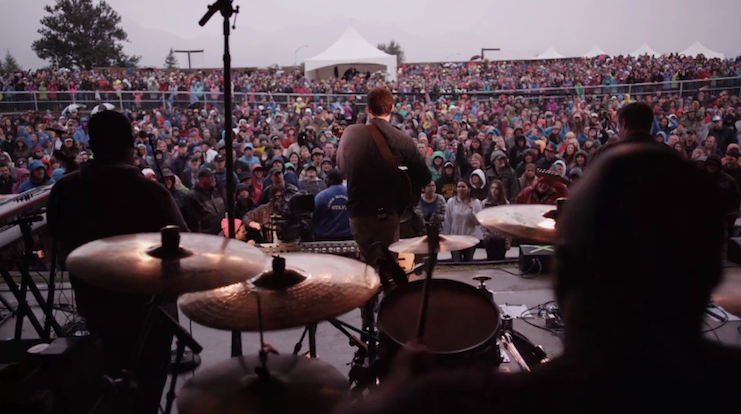 Phillip Phillips traveled way, way north to the Alaska State Fair last month for a concert. Today, Phillips and co. are releasing footage from that performance — particularly of the song “Where We Came From” — and Billboard has the exclusive premiere. Phillips is joined by an array of backing musicians in the video, while the mountain range rises against gray skies in the background. “Where We Came From” is the third single from Phillips’ debut album, “The World from the Other Side of the Moon.” His previous two singles from the album, “Home” and “Gone, Gone, Gone,” were top 40 hits, with “Home” becoming a worldwide smash and peaking at No. 6 on the Hot 100. On Nov. 19, Phillips will be releasing an expanded version of his “Moon” album with three live recordings, including “Gone, Gone, Gone,” “Where We Came From,” and “Man on the Moon.” Those three tracks will also be on “Phillip Phillips Live EP,” also out on Nov. 19. The singer is currently on tour with John Mayer through December.